Spring Break’s Final Fun Friday: Get Out! This final Friday of Spring Break 2011 will be greeted with either a shout of delight or a sigh of resignation, depending upon your location and chosen slate of activities this week. I must say, however, the weather up there in Anchorage has been simply lovely, as seen through the screen of the AK Fam laptop, and for that we must be grateful. Longer days, sunny skies, and happy children clamoring to get outdoors and enjoy their first taste of “spring”, right? 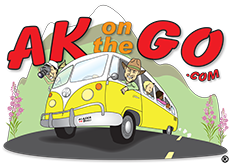 AKontheGO is pleased to announce yet one more opportunity for parents to catch on to family fun in the 49th state through Kids These Days! Radio on KSKA 91.1 f.m. in Anchorage. AK Fam has an occasional appearance on the show, but now will be offering blog posts for your enjoyment each and every Friday! Check out the KTDontheGO segments at the KTD website and read this week about hiking with ‘tweens and teens, including how my dad always managed to pry conversation out of his surly daughter. AK Fam is packing up gear and piles of kaboodle purchased at our favorite outlet stores, having completed the annual stock-up of base layers, fleece, and socks from Columbia in Lake Oswego. Somehow we’ll manage to get it all home without the ticketing agents at Portland International sadly shaking their heads (which usually happens). But back to Fun Friday. 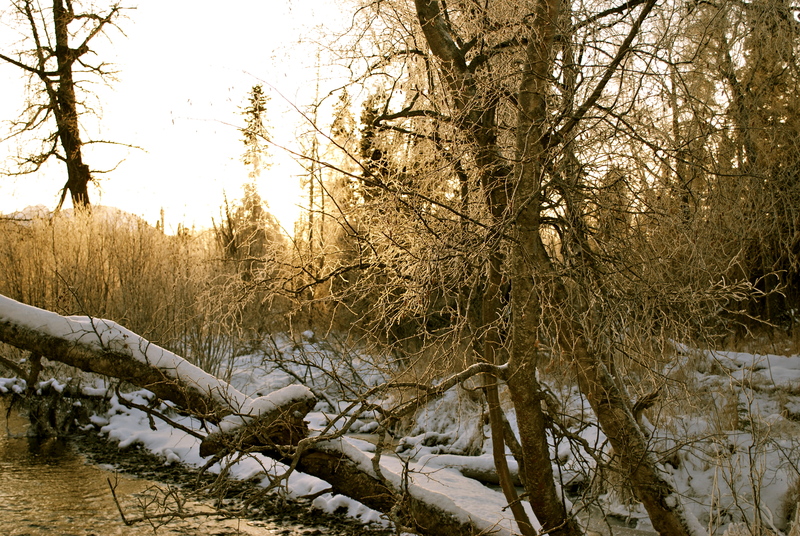 It’s a hiking, kayaking, museum-going sort of weekend ahead and we’ve got the list right here, courtesy of Alaska Center for Pediatrics, so wake up the kids, perc the coffee, and get ready for a fabulous weekend! FRIDAY: If you are extra-energized this morning, call Eagle River Nature Center and see if they have any spots left for a special Junior Naturalist Program titled “To Build a Fire” from Noon-3 p.m. Take a hike and learn how to build a safe and effective campfire with volunteer Jack Noll. Marshmallows will indeed be involved. Kids K-6 are invited to bring a grownup and enjoy this wonderful afternoon of sweet learning. Call 694-2108 to register. FREE, $5 parking for non-members. Looking for a close-in hike for smaller kiddos or to save some time? The Alaska Botanical Garden is gearing up for spring, to be sure, and staff are already moseying around the grounds checking on plants. A beautiful day like this one is sure to be perfect for a little stroll around the Garden. The Garden is located on Campbell Airstrip Road, off Tudor. Park in the Benny Benson school lot; the big steel gate is shut, but to keep out the moose who would love nothing more than a snack of tree branches, so be sure it is closed behind you. No doggies, please. SATURDAY: The Anchorage Museum has that little baby mammoth on display now, and the exhibit, “Mammoths and Mastadons” is open now through October 9. Check out the incredible survival tactics of these great creatures, and learn how scientists found Lutya, the baby. It might be a good day to combine this museum with a trip to the Alaska Museum of Natural History in Mountainview, where kids can sit on a fuzzy replica of a mammoth (Katch and her staff did a fabulous job), do a scavenger hunt for fossils, and dig in the pit like real archeologists. Seeing the real thing, then taking a truly kid-friendly approach might make for a great day together. Eagle River Nature Center offers two more fabulous classes for families on Saturday, the first being a “Gross Anatomy” Junior Naturalist program at 2 p.m. Check out owl pellets (so cool) and discover what this beautiful bird had for dinner. Kids K-6 are invited to bring an adult to this icky hour of fun. Call 694-2108 to register, FREE program but $5 non-member parking. The second ERNC program is a Family Evening Owl Walk from 6:30-8:30 p.m. Join volunteer Liza Sanden on a 3-mile walk around Albert Loop to listen for owls and learn about their nesting habits. Dress for the outdoors, wearing, if you can, “quiet” clothes that don’t rustle or rub. This hike is recommended for kids 8 and up (hey, a ‘tween thing!) and their adult of choice. Pre-registration is required, call 694-2108. FREE, $5 parking for non-members. SUNDAY: Tom Pogson of the Alaska Kayak School will be in town on Sunday leading kayakers through their paces at Bartlett High School’s pool. From 10 a.m.-1 p.m., Kayaking Basics will teach everything one needs to know to enjoy this popular Alaskan sport. Participants need to be strong swimmers and able to follow verbal directions, which means this class is appropriate for kids 10 and up. Know the history of the word “Sourdough”? Eagle River Nature Center is offering a fascinating class about “Sourdough History and Magic” at 2 p.m. This bacteria culture has been around since ancient times to leaven bread, and Naturalist Ute Olsson will show you just how to make those “lighter than air” pancakes. After tasting bread and those yummy pancakes, take home some sourdough starter (bring your own jar), and recipes. FREE, but $5 parking, non-members. Enjoy your weekend, folks. But do give a minute or two of thought for those in Japan this morning. We Alaskans know as well as anybody the power of Mother Earth, and AK Fam offers our prayers for safety and security. Posted in Alaskan Winter Fun, Gear, Miscellaneous and tagged Alaska Botanical Garden, Eagle River Nature Center, hiking in Alaska.